It was a year ago today, that I independently released my first book, Dog Days of Summer (Moonridge Memories, Book 1). It's hard to believe a year has passed already! To celebrate this long but fun journey, for one day only, you can get Books 2, 3, and 4 of the Moonridge Memories series for 99 cents at Smashwords! I don't have much to update right now on future releases. I am currently working on several projects and just trying to organize a release schedule. I know it's been awhile since I blogged, and that tends to happen when I'm busy writing, but I should hopefully have some news soon! Blog Redesign, Upcoming Plans, & Thank You's! So, you may have noticed that I've completed my blog redesign, complete with a new name (gone is "Time To Put Away Childish Things) and banner. I chose the tagline "The darker side of fiction" to reflect my current projects that should be releasing over the course of the next few months. 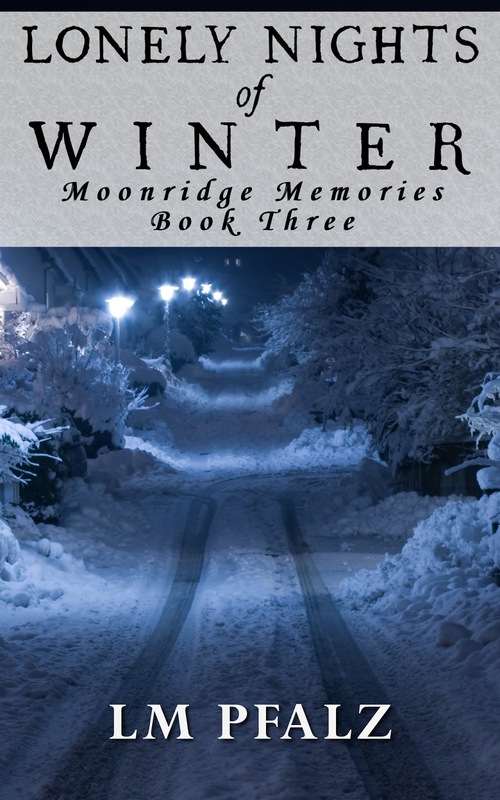 If you've read my Moonridge Memories series, you've probably noticed that although it's women's fiction, it contains some dark matters such as abuse and murder and even a bit of mystery and suspense thrown in. I tend to enjoy writing about female protagonists in scary situations, who have to find the strength within themselves to survive. My Moonridge Memories series definitely has this as a motif, and my future works will as well, and that leads me to a small announcement. I'm planning on delving into the horror genre(and sub-genres). Horror is actually my first love, and releasing a contemporary/women's fiction series first was done moreso as a way of gaining some closure on a series that has been with me for over fifteen years, than a sensible career choice for a would-be horror author. But, hey, no one's ever accused me of being sensible before! I want to express my undying gratitude to those who have read the Moonridge Memories series and taken a chance on an indie author, who's chasing the dream of becoming a full-time writer. To those who go that extra mile to leave reviews of my books, I want to say a big thank you! Good reviews make my day, and poor reviews inspire me to work harder. Love it or hate it, I appreciate anyone who takes time out of their day to share their thoughts on my work. Writing has been a passion of mine since I was thirteen years-old, and now, seventeen years later, it warms my heart to know that there are readers who are enjoying my work. It makes all of the hard work so worthwhile! So keep checking my blog for updates on my future books, and if you'd like, sign up for my newsletter to be notified of new releases. Summer Sale! Get My Books 50% off at Smashwords! Until the end of July, you can pick up my books at Smashwords for 50% off, until the end of July! Get the whole Moonridge Memories series for just $5.00! Enjoy, and don't forget to use the coupon code! 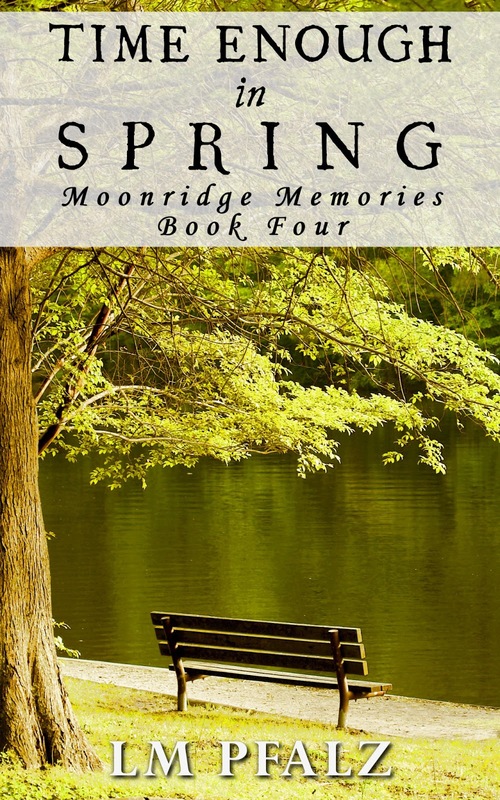 Time Enough In Spring (Moonridge Memories, #4) Is Now Available! The final book in the Moonridge Memories series is now available to buy at Amazon and Smashwords and will be coming soon to other online retailers! So, I realized it's been about a month since I blogged last. 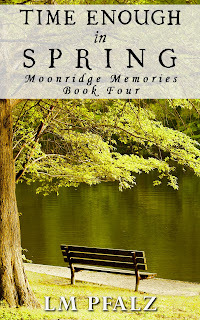 I've been crazy busy with the last book in my Moonridge Memories series (Time Enough In Spring). The book is due out this month (hopefully by the end of this coming week), and I haven't been wanting to take too much time away from working on it. I know I haven't updated Twitter or Facebook in quite some time, and my apologies there. It is on my list of things to get better at. Sometimes I just feel like my life isn't interesting enough for social media status updates - heh! Well, that's it for now...except for a cover reveal! Well, today is May 16, and that makes me 30 years-old. Gasp! Why is turning 30 such a cause of anxiety for so many people, especially women? As sad as it sounds, my twenties were nothing special. In my twenties, I just wished I was a teenager again. When I was a teenager, I wished I was a kid again. And now at thirty, I'm wishing I was still in my twenties. But why, if by my own admission, my twenties were nothing special? Life is a race against the clock. There is only so much time for the things we love to do and people we love to spend time with. For unwed and childless women in their thirties, the clock seems to start ticking much faster. This is where I'm at. What I once thought I had plenty of time to think about and consider, now feels like time is up and it's time for decisions. The funny thing is that marriage and having kids never took priority in my life before, so why now? Yesterday I was 29 and wasn't in a hurry to start that chapter of my life (if I ever decide to start that chapter), and yet one day later, I feel like I have to hurry up and chase after these things. I know it's illogical and silly, and yet my mind won't stop badgering me with the ticking clock--the clock that's saying "Time is running out." If I feel like this at 30, how will I feel at 40? Or 60? Or 80? Will I even make it that long? The rules of life are there are no rules. Normality doesn't really exist. No one knows what tomorrow will bring. The best we can do is make the best of what we're given and try to do the things that make us happy. Writing makes me happy. For more than fifteen years, I've known that all I wanted out of life was to write and one day make a living at it. Well, I'm still working on the last part, but for the first time, it seems like a possible dream. I've accomplished more in the past year than I thought was possible. I've written and published three books, with a fourth on the way. So why have I been dreading turning 30? 30 is starting to look pretty good! So here's to turning 30! If you're turning 30 this year, think about what you've accomplished and forget about the things other people have that you might lack. In the wise words of Baz Luhrmann: "The race is long, and in the end, it's only with yourself." Last night, I finally got around to seeing the movie "Mama", a movie I was really looking forward to. Well, I don't usually review things, but I have to share my thoughts on this movie. SPOILERS AHEAD! Stop reading if you haven't seen the movie and intend to. My first problem with this movie is genre. It felt like they didn't know what kind of movie they wanted to make. The last fifteen minutes or so, bewildered and angered me to no end. Despite being labeled as a horror movie (and having waaaay too many "jump" scares), the end suddenly turned into something else. Suddenly, the character of Mama was no longer a creature you only saw glimpses of (which is what made her scary), but now dominated the screen. Not only did this take away from her scariness and highlighted how bad the special effects were, but it changed the genre. The last fifteen minutes could've been pulled from a fantasy movie. It kind of felt like the movie was suddenly taken over by a completely different writer and director who decided it was time to make a fantasy movie with spiritual undertones. Now, to be fair, sometimes making changes like this can work. "The Orphanage" remains one of my favorite horror movies of recent years because of an unexpected ending. (I won't give anything away, but it's a movie worth seeing!). Mama's unexpected ending didn't work for me...at all. Here's why IMHO. The character of Mama is overly simple and completely unsympathetic (both in life and death), and yet the movie makers seem to think they've made a complex and sympathetic horror villain. Mama is pretty one dimensional. She was a selfish, dangerous, mentally unstable person in life, and she's a selfish, dangerous, mentally unstable spirit. In life, her baby is taken away due to her mental instability (or so implied), and she kills a nun to get the baby back, only to hurl her and her baby off of a cliff. Then, in death, she becomes possessive of two little girls whose dad killed their mom and takes them out for a little drive to kill them and himself. Well, before he gets a chance to kill them, Mama kills him and then cares for the two girls for five years (the how is anybody's guess) until they are found by their uncle's search party. Interestingly enough, Mama killed the girls' father for basically doing (or planning to do) the same thing she did to her child. Oh, Mama, you're such a hypocrite. So after five years in the wild, the little girls adjust pretty well to being back in regular society. I mean, these girls were walking around on all fours and talking to an evil spirit for five years, but nothing that a bath and a pair of glasses can't fix. For some reason, only the older sister has to be in therapy, despite the fact that the younger sister is obviously more mentally disturbed. Go figure. If I could have a favorite part of this movie, it'd have to be when Annabelle, their uncle's girlfriend who becomes their full-time caretaker after Mama puts him in the hospital, bonds with the younger sister finally, and you see the little girl start to behave less like a wild animal. This scene is actually really touching and meaningful...or it should have been. Apparently, the movie makers forgot this scene was filmed when they went to film the ending, because it was rendered completely pointless by the upshoot. And now the ending. Where to begin? Uncle Lucas gets out of the hospital just in time to find out that Mama has taken the two girls back to the original cabin where they lived for five years. Mama also randomly kills their aunt (who had some vague subplot which only came into play at the director's convenience) and possesses her body for reasons unexplained. So Uncle Lucas and his girlfriend Annabelle find the girls on the cliff where Mama killed herself and her baby a hundred years prior. This cliff is oddly placed right outside the cabin, despite the close proximity never being shown before the end. But whatever. Maybe it was a magical cliff that appears on Mama's whim. So Uncle Lucas gets to the cliff just in time to be attacked and rendered useless by Mama again. His character might as well not have even been in the film. So Annabelle has the remains of Mama's baby (skeleton baby should've probably been enough to give this movie an R rating btw), but Mama isn't happy and flings the baby's bones off of the cliff in a bad cgi effect. Oh, but remember, this is a villain we're supposed to be sympathetic towards. And briefly, ever so briefly, when she unwraps the blanket and sees the skeleton baby, I was sympathetic. And I was waiting for her to jump off the cliff with it and be at peace. But nay, we get flying baby bones instead, which is pretty damn heartless even by an evil spirit's standards. So she wants the living children instead of her dead baby, and continues her mission of trying to go off the cliff with them. The older girl refuses and stays with Annabelle (she's using her head for something other than a hat rack), but the younger sister happily goes into Mama's arms and goes over the cliff with her, in some bad cgi cocoon like effect, smiling all the way down. The little girl comes back as a freakin' butterfly and lands on her sister's hand. The End. I have never had a bigger WTF moment at the end of a movie. What was the point of showing Annabelle and Lilly (the younger sister) bonding if she was just going to happily choose Mama at the end anyway? Why the hell did she come back as a butterfly? Why did the end play out like we were supposed to feel happy and hopeful for this extremely troubled family? Who's going to explain all of the random murders connected to this family and the disappearance of one of the little girls they were supposed to be responsible for? It looks to me that the family's problems are only just beginning. For some reason, when the movie didn't end with Mama taking her dead baby over the cliff with her, I had another idea of what was going to happen. My thought was, at the beginning of the movie the girls' father kills their mother, and for some reason I kept expecting her spirit to come and duke it out with Mama to save her children's life. Sure, it would've been kind of hokey, but I also think it could've been interesting since their mother's murder was really brushed over. Actually I even entertained the notion that Mama was their mother and that's why she killed their father before he killed them, but that was before Mama's backstory was revealed. Hell, even if their father's spirit (who does appear to his brother in a dream) would've come back to redeem himself for intending to kill his girls by saving them would've been an interesting twist. Honestly, just about anything would've been better than the ending we got. I think a lot of people like to credit a movie when it has the courage to have an unhappy ending, and in this case, kill off a child, but in all honesty, I think that's bull. Yes, Hollywood does tend to be a fan of happy endings, so anything that strays from that seems "deep" and "courageous" by comparison, but for me, there has to be a good reason to do these things. I don't always need a happy ending, but an unhappy one needs to be satisfying in some way. Plenty of horror movies end unhappily, and I still enjoy them because they're cleverly written or there really is a deeper meaning behind it. "Mama" was just a bummer and completely pointless. The unhappy ending just seemed contrived and only done to avoid any sort of hokey happy ending. The problem is, the ending was hokey anyway and left a bad taste in the viewer's mouth on top of it. But hey, at least the movie got a PG-13 rating, so kids will get the message that flinging yourself off a cliff is a fun and happy event, and you get to come back as a beautiful butterfly. So, I realized I forgot to post a little update sharing the fact that I have a new mailing list. If you're interested in being notified of new releases, please use the sign up form in the left sidebar or posted below. So, it's been awhile since I've posted an update, and I'm sorry about that. There's some stuff going on in my personal life that is making it difficult to concentrate on writing. 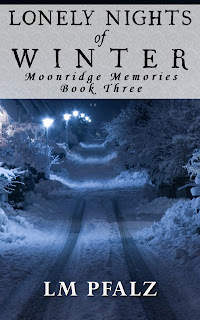 The first draft of the third book in my Moonridge Memories series is done though. Working on editing now. As much as I wanted it to be done by the end of March, unfortunately I don't see that happening now. Unless things get even crazier, it should definitely be done and out by mid-April (hopefully sooner!). I'm sorry to those who are eagerly awaiting the next installment. It won't be too much longer, I promise! If you're interested in being notified when my books are released or other news about me, please remember to "follow" my blog (located in the left sidebar) or "like" me on Facebook or follow me on Twitter. On a decidedly random topic, I'd like to talk a bit about TV movies. The other day I was flipping around on TV and stopped on the movie "The Face On The Milk Carton", starring Kellie Martin. This is a movie I remembered watching as a kid. It got me to thinking about how many made-for-TV movies I had seen growing up, and the impact they had on me. When I was young, television didn't have ratings like they do now. For the most part, my parents allowed me to watch anything on TV, because they were under the impression that a lot of things weren't allowed on TV. Which was true, to a degree. TV movies were always a treat. Since strong language and violence weren't as common or allowed on TV back then, I always felt the writing on TV movies and clever directing had a much deeper impact with "adult themes", and left more of an impression on me than even outright cursing or gore in an R-rated movie. There were always disturbing or even scary elements that were somehow overlooked by or completely ignored by the network censors. A perfect example? Pretty much any Stephen King TV miniseries. Stephen King's IT was the first Stephen King movie I recall seeing (Stand By Me may have been first, but since it wasn't horror, I'll discount it for now ;)). I loved it from the opening scene, which probably sounds a bit bizarre considering I was only about seven years-old at the time. I was a big Tim Curry fan even then, and somehow the familiarity of him being the clown (Pennywise) both scared and delighted me. But for all its lack of gore (being a TV movie and all), it was frightening and disturbing. So many images from that movie haunted me, even apart from Pennywise himself--the shower room scene, the scenes in the sewers (especially with Belch getting sucked into a pipe and Henry's hair turning stark white), the fortune cookie scene, Stan getting locked in the house with "IT", and many more. After watching IT, it became a tradition of watching Stephen King's TV movies with my family, such as Tommyknockers and The Langoliers. Every time a new Stephen King movie was coming on TV, I couldn't wait to watch it. The movies were often spread over two nights or more, and I loved that formula. The anticipation of seeing part two, having something to look forward to all day at school--I just loved it. Apart from straight up horror TV movies though, I saw a lot of "based on true events" ones. That seemed to be really big at the time. A couple really have stuck with me. One starred Neil Patrick Harris and was called "Snowbound: The Jim and Jennifer Stolpa Story". I don't remember it terribly well, but the concept of it (getting lost and stranded in a basically barren snowy environment) really freaked me out--even moreso knowing it was based on a true story. Another was "The Flood: Who Will Save Our Children?". When I was five years-old, we had a relatively bad flood where I lived. I remember my mom walked me and my sister home from school, and the water was up to my waist. Now this is hardly as traumatizing as what happened in the movie, but I think my personal experience is what made the movie have such a huge impact on me. I'm sad to say I haven't gotten the chance to see it again since that first airing. If I recall correctly, the plot involved a school bus full of children that gets caught in a heavy flood. I found it deeply disturbing. It saddens me today how made-for-TV movies aren't as common as they once were, especially on network TV. Some of my fondest memories of childhood was gathering around with my family, usually a bowl of popcorn, and tuning in for a TV movie. Sure, most of them really weren't appropriate for children, but I still enjoyed them. I think in many ways they even inspired me and my writing, because they often had plots that weren't common in theatrical movies, and there was a lot of creativity involved in making them effective without crossing censorship lines.